Demystifying the application of Lean methods, Lean Office and Service Simplified: The Definitive How-To Guide goes beyond the basic tools to detail the key concepts of Lean as they apply to office and service environments. It begins by discussing value stream management, followed by chapters on standard work, flow, level pull, and visual management. 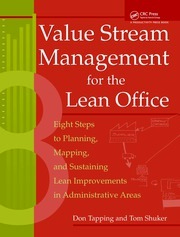 Winner of a 2012 Shingo Prize, this book covers essential Lean tools, including 5S and mistake proofing. It breaks down Lean concepts into their elementary components, describes them in a nonmanufacturing context, and supplies readers with specific how-to methodologies. Providing detailed examples throughout, the text illustrates the functions found in most service organizations, as well as the administrative areas of manufacturing companies. 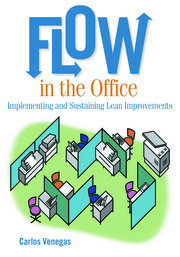 Watch Shingo Prize-winning author Drew Locher discuss how to implement Lean concepts into your office and service settings. Key Points—The "How" and "Why"
What Is the Purpose or Function of the Area? What Activities Are Performed in the Area? How Do People Know What To Do? How Do They Know How To Do It? How Do They Know How They Are Doing? What Is Done If Performance Expectations Are Not Being Met? 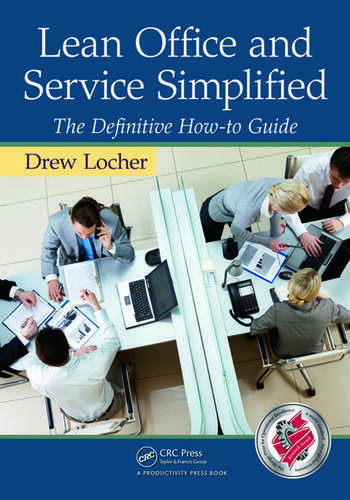 ... a plain language guide to transforming Office and Service industries into effective, efficient organizations. I recommend it strongly.